NOW THEREFORE, BE IT PROCLAIMED, on this 6th day of August, 2015, that the Mayor of the City of Hendersonville and the Hendersonville City Council affirm the Charter for Compassion and urge citizens, community organizations and government to work together to embrace and apply compassionate solutions and encourage community service to meet the needs of our families, friends, neighbors, and community. Published: Monday, September 7, 2015 at 4:30 a.m.
Last Modified: Friday, September 4, 2015 at 10:19 a.m.
On Aug. 6, something very exciting happened in the city of Hendersonville. Our request of the mayor and City Council for the city to become a designated Compassionate Community by the guidelines of the Charter for Compassion was realized with an official proclamation. The Charter for Compassion is a pledge written in 2009 by leading inspirational thinkers from the traditions of Judaism, Christianity and Islam, motivated by the ancient and universal “golden rule.” Those championing the charter are committed to building a worldwide network of Compassionate Communities. Hendersonville became the 64th community in the United States and the 286th in the world to join that network. “The principle of compassion lies at the heart of all religious, ethical and spiritual traditions, calling us always to treat others as we wish to be treated ourselves. Compassion impels us to work tirelessly to alleviate the suffering of humankind, animals and the environment ... treating all, without exception, with absolute justice, equality and respect. The Compassionate Communities program is not a certificate program that offers a seal of approval, nor does it subscribe to a single definition of a Compassionate Community. Instead, the charter invites people around the world to bring compassion to life in practical ways through actions specific to their needs — in neighborhoods, businesses, schools, health care, the arts, local government, peace groups, environmental advocacy groups and faith congregations. It also invites the people of those communities to bring compassion to everything they do and to take responsibility for igniting the compassion of others to care for each other from birth through childhood, adolescence, adulthood and old age. What is a compassionate city? An uncomfortable city! A city that is uncomfortable when anyone is homeless or hungry. Uncomfortable if every child isn’t loved and given rich opportunities to grow and thrive. Uncomfortable when, as a community, we don’t treat our neighbors as we would wish to be treated. What is the benefit of living in a Compassionate Community? Those communities of people across the globe who have committed to making compassion a driving force experience measurable impact on community life. The values stated in the charter, when applied, have a profound effect on the learning in our schools, the way our businesses function, the services offered by our social service and faith communities, and the decision-making processes that impact the well-being of our citizens and the health of our environment. What have other Compassionate Communities done to bring the charter to life? Originating as a friendly competition between Louisville, Ky., and Seattle, each designated Compassionate Cities, the Compassion Games issues a challenge of “Survival of the Kindest” where all help one another to “win.” More than 1,000 volunteers were engaged in acts of kindness and community service ranging from giving blood, cleaning up beaches, collecting food for local pantries, donating household and toiletry items for local shelters and services, making and distributing blankets, and offering “free listening” in designated public spaces. The organizers said it is a creative way to engage our citizenry and community partners as never before, and they plan to expand it to more cities each year. Although Hendersonville is the “capital of volunteerism” and filled with caring people, we were motivated to pursue the Compassionate Community designation because of the many recent news stories of cities facing sudden, unexpected violence and unrest. We hope to bring the Charter for Compassion to life in Hendersonville with the help of people from every sector. How? Initially, by creating communitywide dialogue and connection between seemingly fragmented groups, and by presenting opportunities to find the common ground that exists between all of us, which generates conditions for greater belonging and stronger social fabric. Who knows where it will go from this starting point? The city of Hendersonville has a long and proud heritage of friendship and concern for the values of justice, equity and respect for people, animals and the environment. We are very grateful to the mayor and council for their compassionate action in affirming the charter and its message. 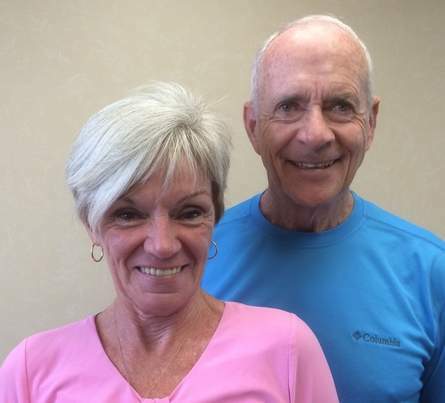 Pam and Charley Rogers are residents of Hendersonville.